The three connected light units are manually adjustable. 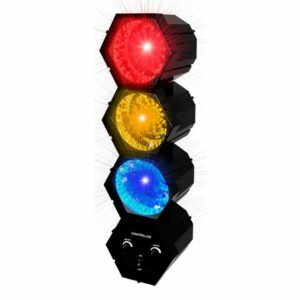 In addition to the speed of the flashing function, it is also possible to set the effect on the rhythm of the music. Each unit has 47 LED lights what creates a spectacular disco effect. Stand out from the crowd this New Year's Eve with our funky glow bracelets. 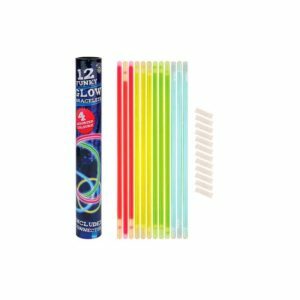 12 assorted colours in each tube. Length: 24cm (approx.) with connectors. 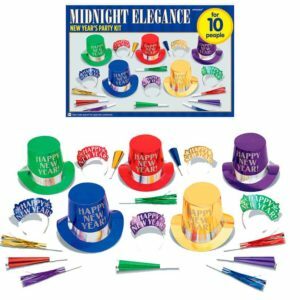 Make your New Year's Eve party a glittering occasion with our New Year's Eve Party Kit! The glittering black, silver and gold will suit any colour scheme. 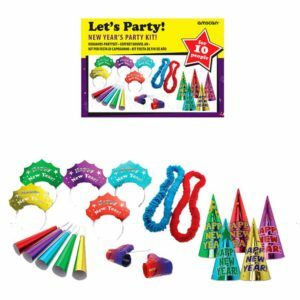 The kit contains: Qty: 4 Party Hats, 4 Headbands, 8 Leis, 8 Squawkers Colour: Black, silver & gold Material: Mix of card, tissue and plastic For adult use only. 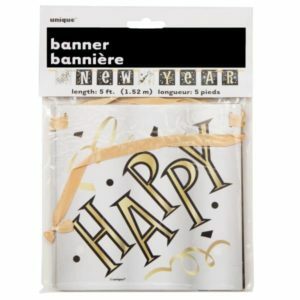 Decorate your New Year's party with our Block Letter Happy New Year Banner. 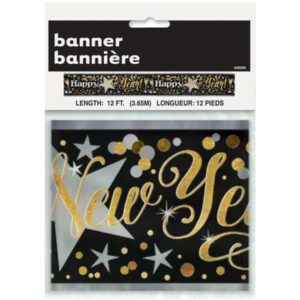 Featuring a black and gold design spelling out "Happy New Year", this block banner will be excellent for any party, big or small. 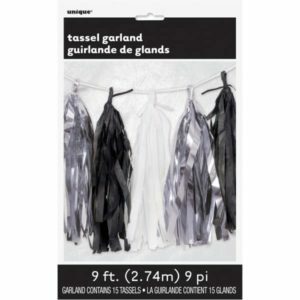 Hang it up or drape it across the front of refreshment tables. Our New Year Tissue Paper Garland measures 9ft long and features tissue paper and plastic tassels. 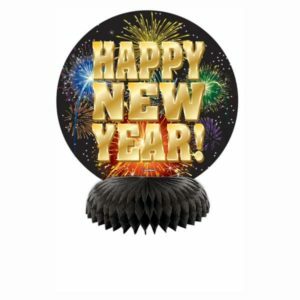 A stylish decoration for your New Year parties and celebrations. Featuring fireworks and "Happy New Year!" 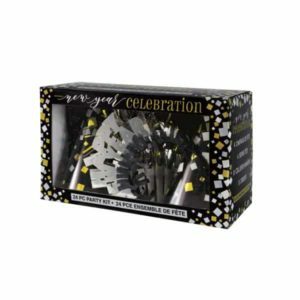 text on black tissue paper honeycomb bases, these table centrepieces are ideal for decorating a New Year's Eve party or New Year celebration. Use these honeycomb decorations as table centrepieces, or place them on windowsills or mantelpieces as great New Year's Eve party decorations. Honeycomb bases come with an adhesive strip to hold them open. 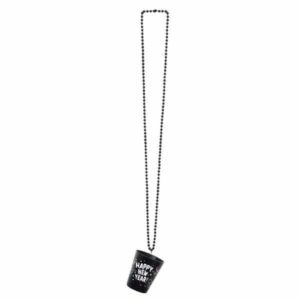 Don't be without a drink this New year's Eve, carry your own shot glass necklace! 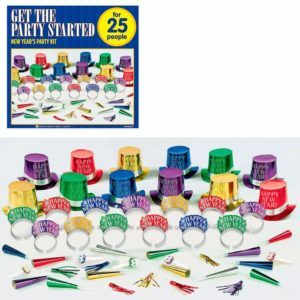 A fun party wear accessory. The shot glass is attached to a black bead necklace and is designed with the phrase 'Happy New Year' along with small swirl patterns.